Lowe's Companies, Inc., together with its subsidiaries, operates as a home improvement retailer in the United States and Canada. 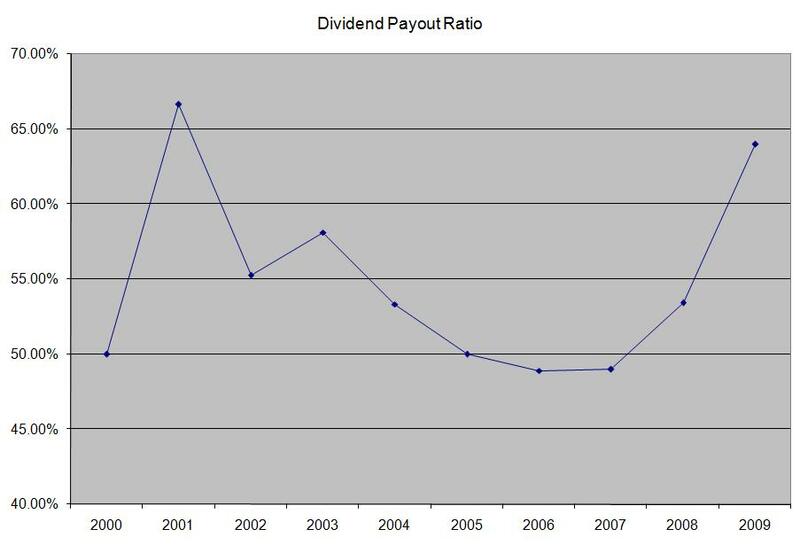 This dividend aristocrat has increased distributions for 48 consecutive years. The company was one of original dividend aristocrats that joined the elite dividend index in 1989. Over the past decade, this dividend stock has delivered an annual total return of 6.90%. 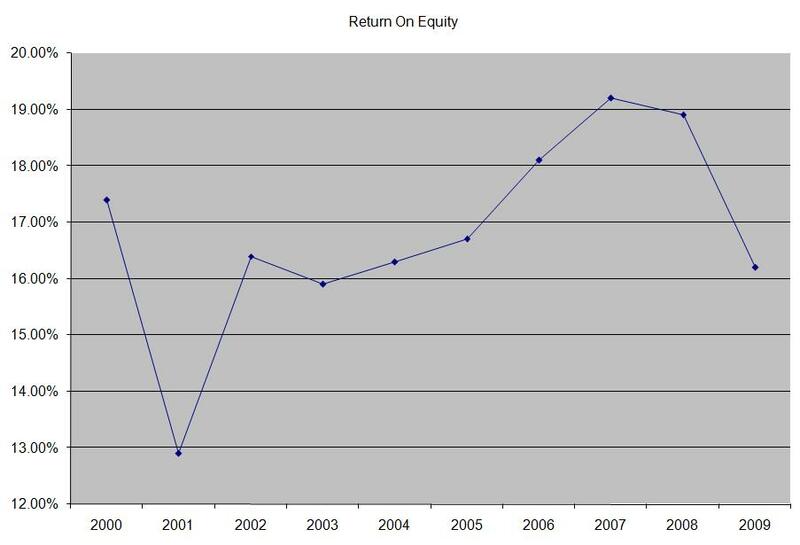 At the same time earnings per share have increased only by 9.80% per year since 2001. 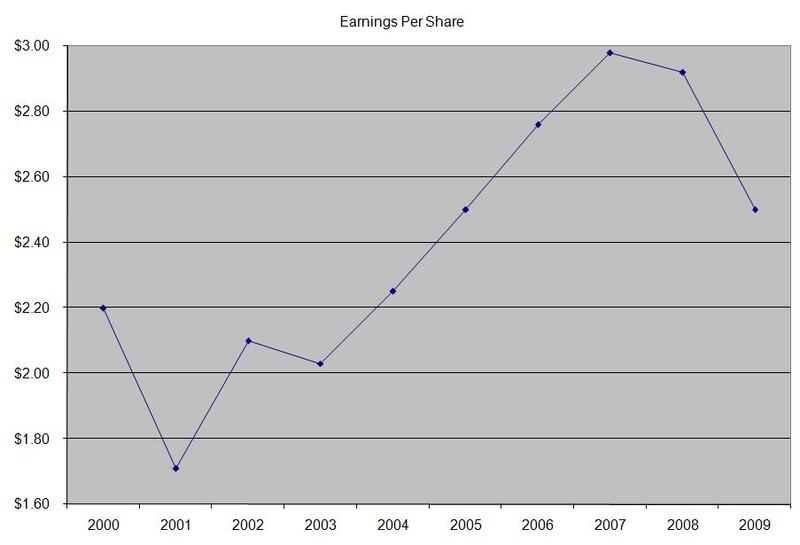 Earnings per share have been weak since hitting $1.99 in 2007 as sales have stagnated and same store sales drifted lower. For 2010 analysts estimate an increase in EPS by 16.20% to $1.41. 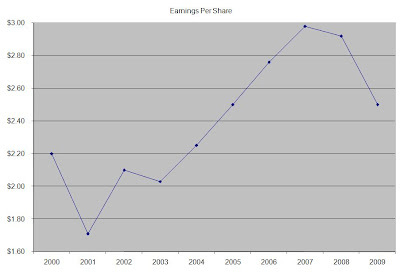 For FY 2011 analysts expect the company to earn $1.67/share, which would represent an increase of 18.40% in comparison with the results in FY 2010. The annual dividend per share has increased by 27.70% on average since 2001. 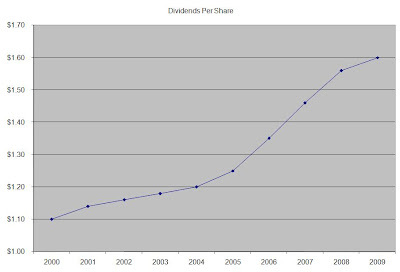 A 28% growth in dividends translates into dividends doubling every two and a half years. Since 1980 the company has managed to double its quarterly dividend every five years on average. 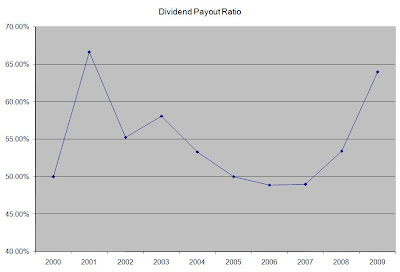 The dividend payout ratio has increased dramatically over the past decade, with the largest increases occurring after 2007. Given the estimated increases in earnings per share over the next few years, the company could easily afford to further increase the dividend payout ratio, by distributing a higher dividend from earnings. A lower payout is always a plus, since it leaves room for consistent dividend growth minimizing the impact of short-term fluctuations in earnings. The return on equity has experienced a dramatic drop since 2007, which was coincidental with the beginning of the housing crisis. As the economy rebounds, and sales and profitability increase, this indicator should return to its normal levels above 15%. Rather than focus on absolute values for this indicator, I generally want to see at least a stable return on equity over time. Currently the company trades at a P/E of 16.60, yields 2% and has a dividend payout ratio of 31%. In comparison, Home Depot (HD) trades at a P/E of 17.10 and yields 3.20%. While Home Depot (HD) yields more, the company maintained its distributions flat for 3 whole years, while Lowe’s was increasing their distribution. As a result Home Depot (HD) lost its dividend achiever status in 2008. The stock trades at a yield which is lower than my minimum yield of 2.50%. The stock however has yielded above 2.50% only during 2008-2009 during the financial crisis. Nevertheless I would consider initiating a position in the stock on dips below $18.